On this World Day of Remembrance for Road Traffic Victims (according to the World Health Organization, 1.2 million people killed every year by traffic violence and 50 million injured), we are dismayed to report another serious pedestrian crash in our neighborhood. 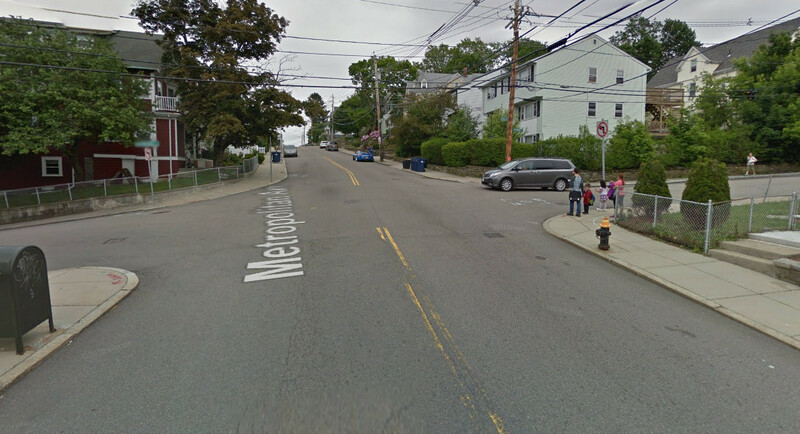 On Friday, a nine-year old boy was hit by a car shortly after stepping off his school bus at the intersection of Metropolitan Ave and Kittredge Street. The most informative media report comes from WCVB: Boy recovering after being hit by car in Roslindale. We extend our sympathy to the boy and his family, and wish him the speediest possible recovery. Although it looks like the child will recover, we must remember it is predictable and indeed certain that crashes like this will happen again and again until and unless we do more than pay lip service to Vision Zero Boston. A quick look at the intersection, which is in the middle of a slope just past a peak limiting line-of-sight visibility, reveals a stark absence of critical infrastructure to protect people on foot: no crosswalk, no traffic calming, no curb bump-outs, not even a stop sign on the main street in a densely settled area with chronic speeding problems. There are dozens (perhaps hundreds) of intersections like this in Roslindale alone, and the fact that people keep getting hit and occasionally killed by cars in them is a reminder that these incidents are crashes, not accidents. It’s time to demand more. We can’t just wait for someone to be seriously or fatally injured on a one-off basis to take a look at specific street crossings, and then spend a year patching up that one spot. Sign the Vision Zero Petition, speak to your neighbors, and tell your elected leaders and appointed bureaucrats at every possible opportunity that it’s time to proactively address road safety across the entire city. There are plenty of successful examples to follow, but at the rate we’re going now it will be a century or more before we realize the core Vision Zero principle: No loss of life is acceptable. 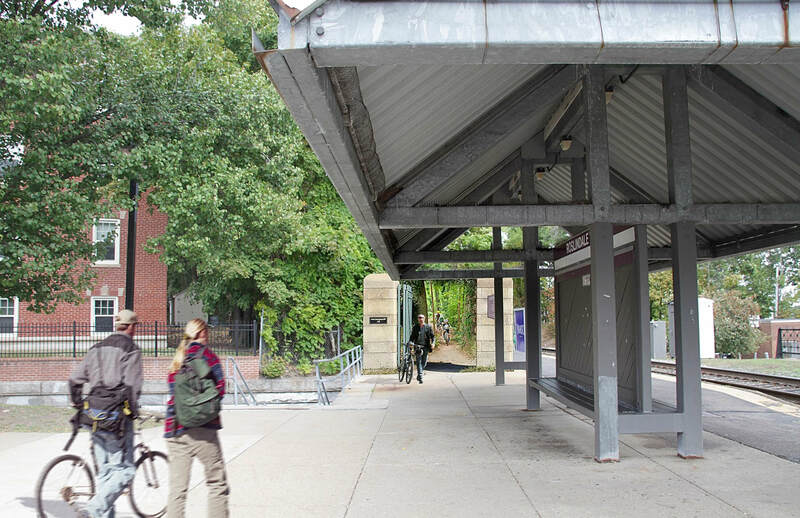 We are delighted that the Boston City Council’s Committee on Parks, Recreation & Transportation has announced a series of public discussions, in partnership with Northeastern University Professor Peter G. Furth, on several critical topics. These discussions will be held in the Iannella Chamber on the 5th Floor of City Hall, and also livestreamed at http://www.cityofboston.gov/citycouncil/live.asp. Come in person to be part of the conversation, and please spread the word! Kudos to City Council President Michelle Wu for taking the major leadership role to make this happen. See also this flyer for these events. Questions or comments to Henry Cohen at 617-635-3115.